VANCOUVER – Politicians from across Washington state joined dozens of community members, educators and students at Clark College in Vancouver on Mon., Oct. 3, to celebrate the opening of the college’s new science, technology, engineering and math (STEM) building. Clark College President Bob Knight touted the new, 70,000-square-foot, $40 million building as a critical part of a regional economy that is becoming more and more dependent on STEM-related fields. In the crowd were several local and state political luminaries, including Washington State Governor Jay Inslee, U.S. Congresswoman Jaime Herrera Beutler, Evergreen School District Superintendent John Deeder and several members of the Vancouver City Council and Clark County Board of Councilors. The politicians had come to celebrate the official opening of a building that, with its will house the next generation of STEM-ready college students. Local and state education leaders, including Clark College President Bob Knight (third from left) and Washington State Governor Jay Inslee (fourth from left) celebrate the ribbon-cutting of Clark College’s newest instructional building on Mon., Oct. 3. Photo by Kelly Moyer. 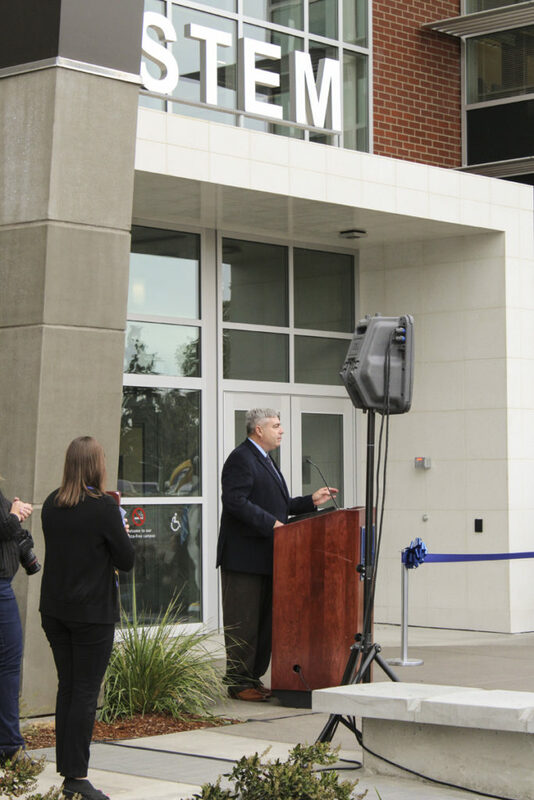 Clark College President Bob Knight speaks at the official Oct. 3 opening of his school’s STEM building, which will train students for careers in science, technology, engineering and mathematics fields. 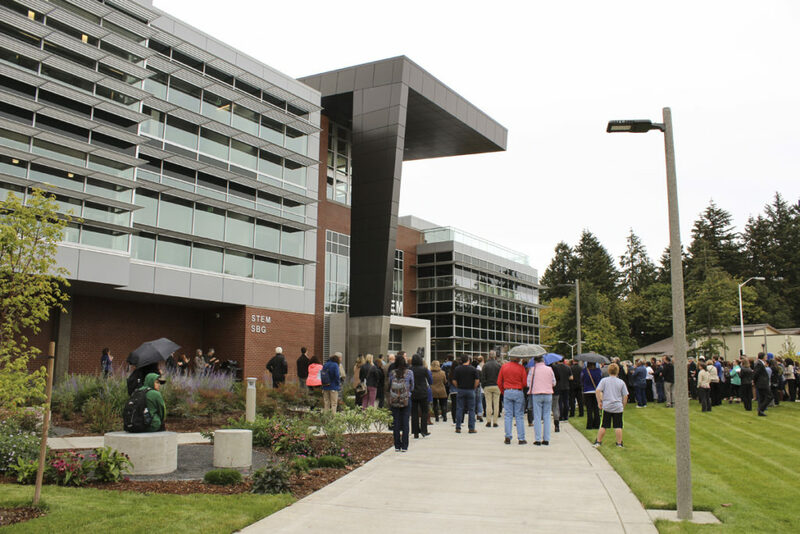 The building, which is the largest instructional facility on Clark College’s main campus, has been open to students since mid-September, but the official ribbon-cutting ceremony took place this week. Photo by Kelly Moyer. There is no shortage of STEM jobs in Washington. In fact, the state is number one in the nation for concentration of STEM jobs. Finding skilled workers, however, has proved challenging. Right now, only six out of every 100 ninth-graders in Washington will graduate from college in a STEM field. 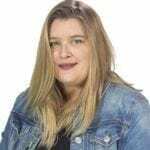 According to Washington STEM, a nonprofit group dedicated to advancing STEM education in K-12 schools and colleges throughout Washington State, the new STEM building couldn’t have come at a better time. By 2017, according to Washington STEM, there will be 45,000 STEM jobs in Washington State that go unfilled due to a lack of skilled workers. Washington voters have signaled that they want to see more STEM education throughout the state — in a 2015 survey conducted by Washington STEM, 92 percent of voters agreed that the next generation of Washingtonians will have more opportunities if they have strong STEM skills, 81 percent agreed that STEM education will improve the state’s economy and 86 percent said they would support increasing the number of Washington college students with degrees in STEM fields. 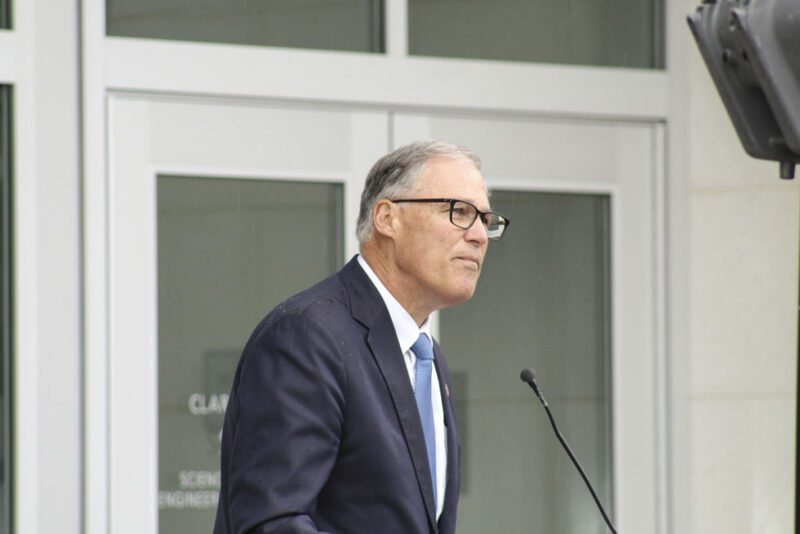 Washington State Governor Jay Inslee speaks at a ribbon-cutting for the new, 70,000-square-foot science, technology, engineering and mathematics building at Vancouver’s Clark College on Mon., Oct. 3. Photo by Kelly Moyer. Although the ribbon-cutting happened this week, the STEM building has been open to students since the first day of fall term classes, on Sept. 19. The new LEED Silver-certified building is the largest ever built on Clark’s main Vancouver campus and boasts nine classrooms, 12 labs (including a cadaver lab for the college’s popular Anatomy and Physiology classes), two conference rooms, 16 student areas and 41 offices. It is the first instructional building to open at Clark in more than 20 years, and will house the majority of Clark College’s biology, chemistry, engineering and physics departments. To learn more about Clark College’s new STEM building or its array of engineering, mathematics, technology and science classes, click here. To learn more about STEM training in our corner of Washington State, visit Washington STEM and click on the Southwest Washington STEM Network. 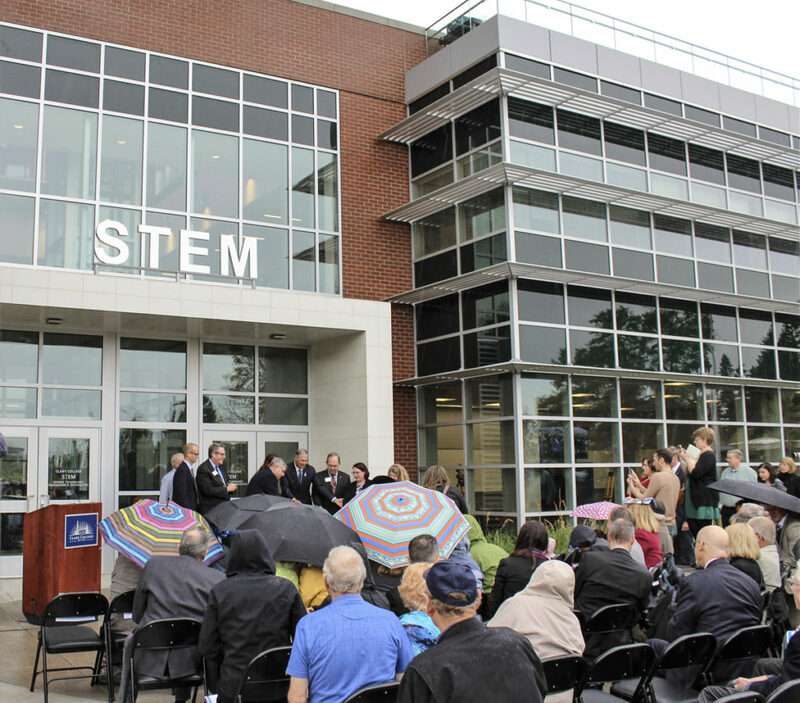 A crowd of community members, politicians, educators and students gather at the official ribbon-cutting for Clark College’s new $40 million STEM (science, technology, engineering and mathematics) building on Mon., Oct. 3. Photo by Kelly Moyer.